Merry Doll Round was created when the first sculpt (Merry head) was released in 2011. Currently there are two doll sizes available, Juvenille line (slightly smaller than regular SD dolls) and Pygmy line (22cm dolls). The interest of Merry Doll Round is to create partially realistic sculptures from ethnicities! Due to the sculptor interest, not only dolls are available, but also illustration related products, like enamel pins! This is Nuria. She likes you! Nuria is the person in charge of Merry Doll Round. She studied Fine Arts in the Universidad Politécnica de Valencia, were she learned some basics about sculpture. While studying, she sculpted MDR first SD heads (Merry, Fang and Ophelia) and after finishing an Illustration degree, she decided to work full time at Merry Doll Round. 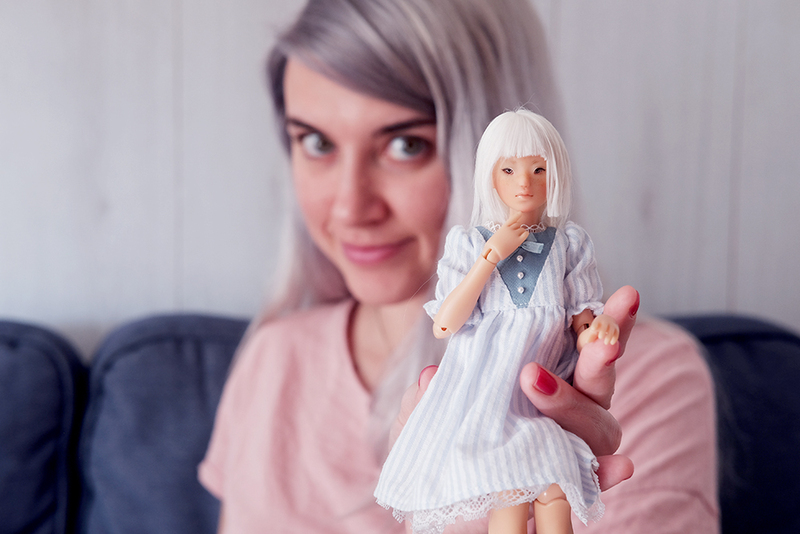 She sculpts, answer mails, takes photos, paints dolls and even writing this small text about herself, which feels a bit weird.